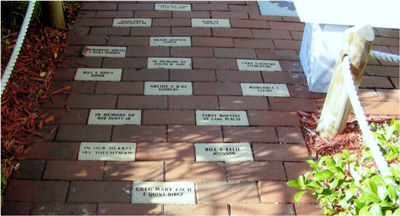 Our Rotary Club proudly completed this project in 2002. 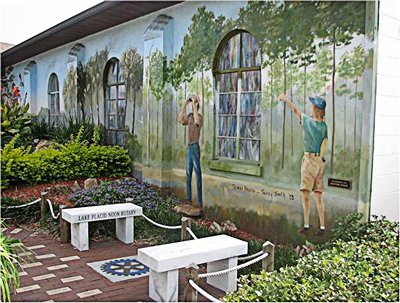 A peaceful retreat in downtown Lake Plaicd, the park is located between two of our famous murals. 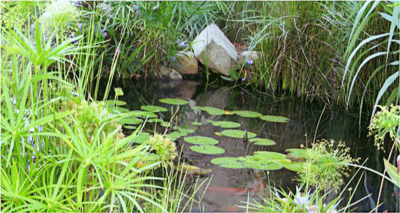 A water feature houses several Koi and lush landscaping adorns the small, but pleasant park. 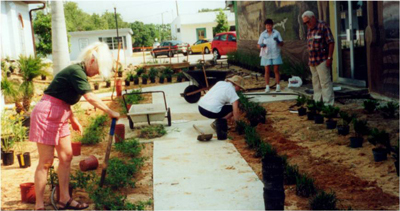 The park was renovated and renewed in 2010 with the help of a local landscape company, The Lord's Farm and Nursery. With each moment fleeting fast. Becomes a cycle with the past. 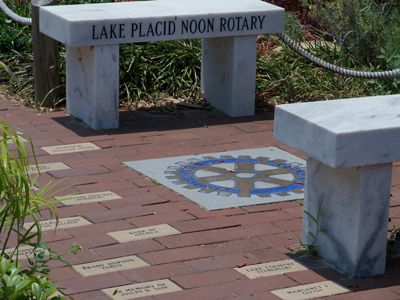 Many times during the year, the Lake Placid Noon Rotary Club provides scholarship funds to students. In the past, scholarships have been awarded to high school students moving on to college and to college students for specialized studies. The Seminar for Tomorrow's Leaders is an exciting program offering leadership development for high potential students. Aimed at rising junior and senior high school students with strong leadership qualities, this program helps participants increase self-confidence, practice and engage in team building, improve vital communication skills and learn to appreciate different leadership styles. In this area, ST4L is sponsored by Rotary Districts 6890, 6950 and 6960. Approximately 150 delegates are chosen from Rotary Clubs throughout the area to attend. Typically, Lake Placid Noon Rotary sponsors at least one delegate. For many years, our club has joined with other clubs in District 6890 to provide paperback dictionaries at no charge to every student in 4th grade in our community. Dictionaries are purchased and distributed with the help of Rotary volunteers and our school is Lake Country Elementary. The Lake Placid Noon Rotary is proud to support community projects. Numerous small grants have been given to area organizations for their operating programs. Among others, we support Samaritan's Touch health center, the Center for Great Apes, the Lake Placid Police Department, Lake Placid Youth Baseball, Toby the Clown Foundation, and Miracle League of Lake Placid. Another way our club supports the community is to participate in many community events. We are famous 'round here for funnel cakes that we make at most of the area's festivals. Look for us at the Caladium Festival in August and the Arts and Crafts Festival in February. The funds we raise are used to support other programs listed on this page. Venture Scouts provide a vital service to our club with their support of the Wild Game Dinner. In return, we are proud to support this fine organization. 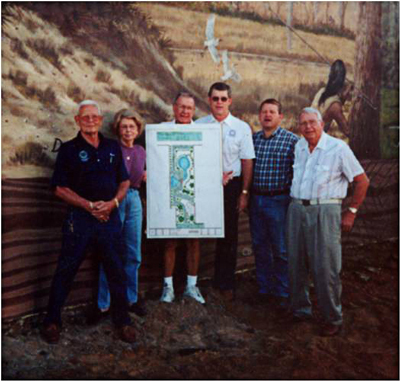 Here are some historical and current photos of Rotary Park. This 5 year project was completed and dedicated in 2002. Click on any thumbnail photo to see the full size photo. Since Rotary Park was conceived, there has been a lot of sweat equity invested. Countless man-hours have been donated, but one man has made this project his own. Paul Elliott has been involved since the inception of the park and to this day, continues to volunteer his time. Thanks, Paul! ..